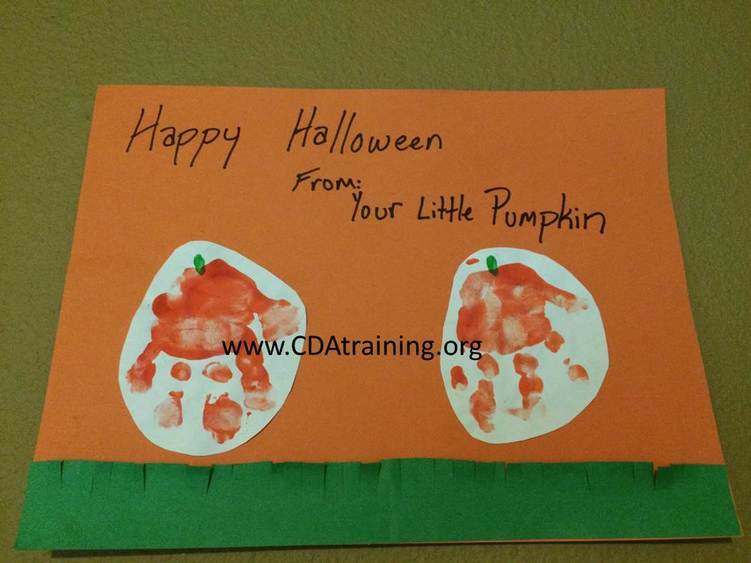 Display the child’s work. 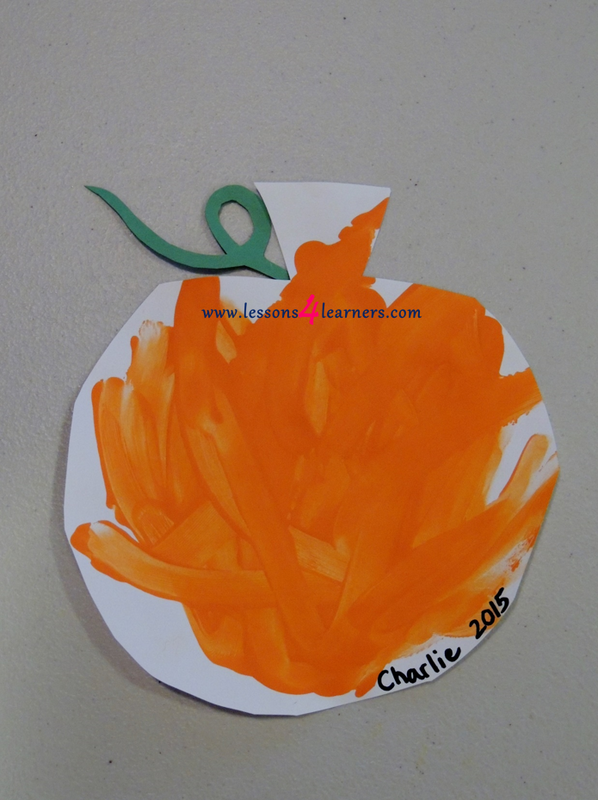 You can create a pumpkin patch on a bulletin board if desired. 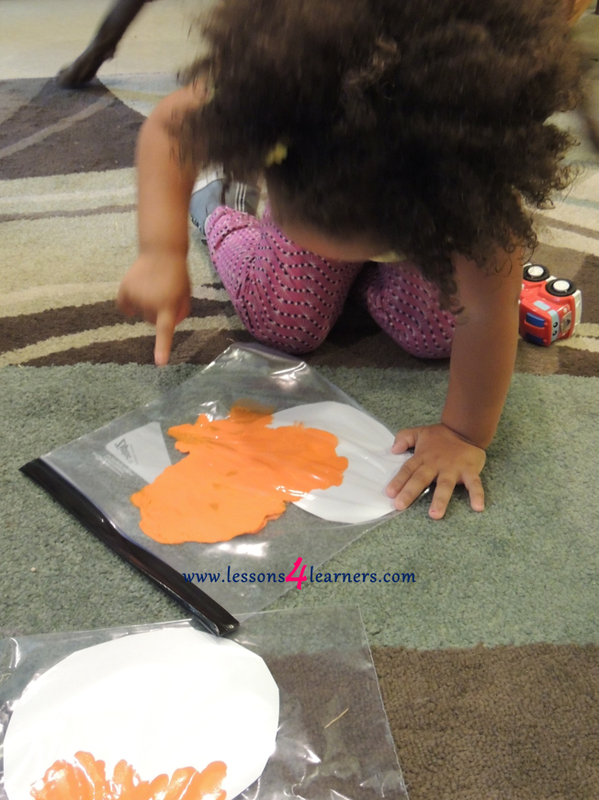 Observe and record the child’s fine motor skill. How did they go about spreading the paint? Did they attempt to repeat any of the vocabulary words back to you?